Paulton Parish Council was formed in 1894 and has a membership of seventeen councillors. The parish of Paulton is one of the largest in Bath & North East Somerset (BANES). Elections for the Council are held every four years. 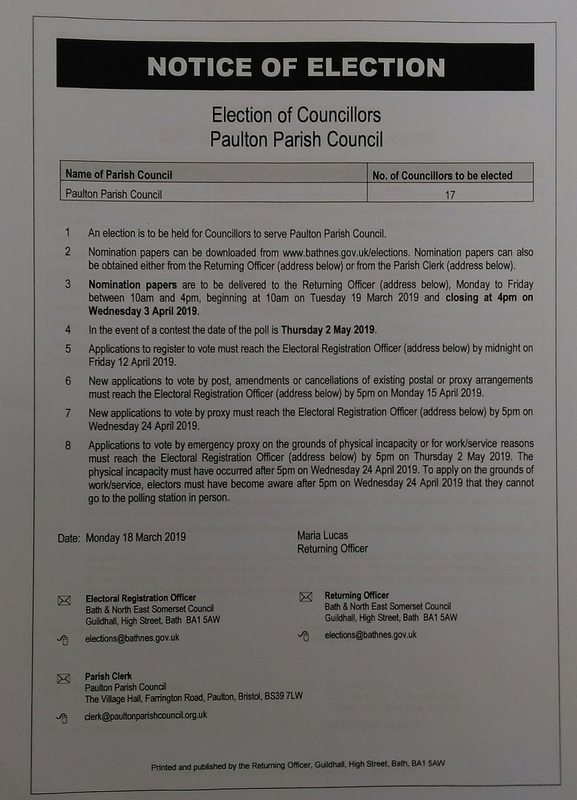 Paulton Parish Councillors have elected not to receive any remuneration but to give their time, services and skills freely for the benefit of the local community. For more information please click on a link below. THE GRANT APPLICATION PERIOD FOR 2019/20 IS NOW OPEN! The Judges for the Competition sponsored by Somerset Live, Magna Housing and Somerset Wildlife Trusts visited Paulton on Monday 20 August. They were met by members of PiP (Pride In Paulton) and given a tour of Paulton, introducing them to residents and visiting various areas around the Village, such as the Hub, Café Bombero, Swimming Pool, Fire Station, Memorial Park, Miners Recreation Ground, Cricket Club, Paulton Hospital to name a few. Holy Trinity Bell Ringers welcomed them to the Village by ringing the bells as the Judges entered the Memorial Park, one Judge remarked ‘I have never had bells rung for me before and it is something I will never forget’. On Friday 26 October the results were announced and the Awards presented at Edington Village Hall. 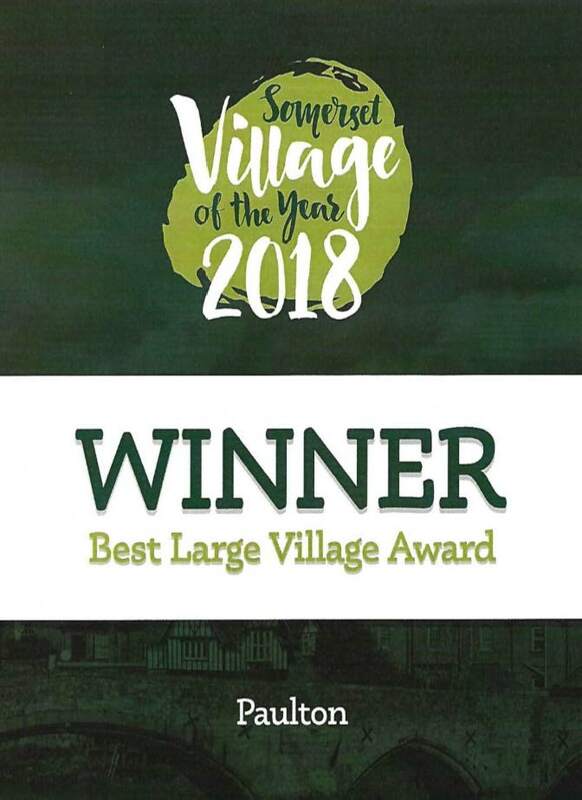 Despite strong competition Paulton won the ‘Best Large Village Award’. The Judges said ‘the community group Pride in Paulton blew the judges away with the multitude of projects it is at the heart of, improving how the village looks, functions and supports its residents. Volunteers of all ages and social backgrounds are heavily involved in making this village, which was once a thriving mining community, a better place to live and work’. Paulton was awarded with a Winners Plate and Certificate which will be displayed at the Hub. PiP would like to thank everyone who supported the visit by the judges, it really was a team effort and without each and everyone of you it would not have been the success it was. Parish notice boards are located at the Hill Court Precinct and the Village Hall. These are regularly updated with Parish Council information and forthcoming events.